A DIY shed makes for a great weekend challenge! 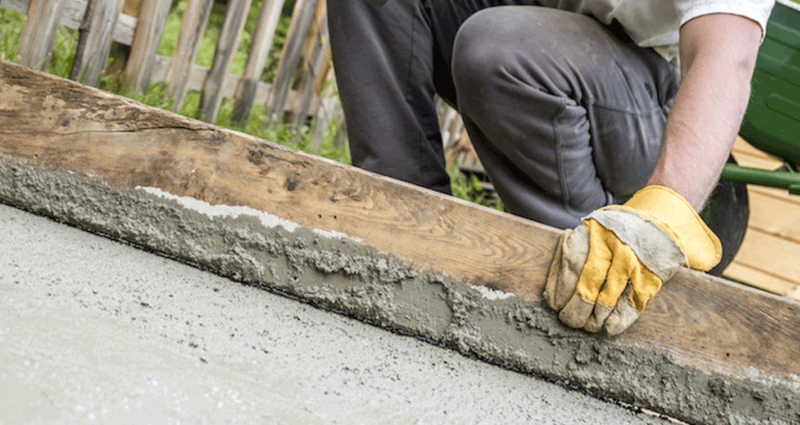 If you are looking for your next DIY project, a solution to store all your equipment, a place to call your mancave, or just a place to sit and ponder, then building a sturdy concrete slab shed is just the project for you. The great thing about a DIY shed is that it’s a fun DIY residential project that’ll let you put plenty of skills on display. There are plenty of designs to work with, however, this guide will look at a simple concrete slab design with a bunch of options add-ons to suit your needs. If you’ve had experience with marking up and pouring concrete then you’ll have a leg up, but otherwise, it’s a great first DIY project for anyone with a bit of construction or manual arts experience. Note though, if you want secure power access to your shed, we recommend contacting a licenced electrician. Projects like this also make for a great demonstration in construction work for teenagers and could even prove to be an educational experience to kill time on the weekend. With all this in mind, we’ve compiled a basic step-by-step guide, along with a few tips and tricks to help you visualise, plan, and tackle a DIY backyard shed. The first thing to do it to contact Dial Before You Dig. These legends will help you identify any subsurface utilities that might be hidden in your yard. Failure to do this will create significant risk during the excavation phase, where failure to do so can lead to utilities being clipped or struck during excavation, which can cause significant injuries and utility grid damage (line strikes are no joking matter). After contacting DBYD, you know the lay of your land and can now decide on where to build your new shed. From here, decide on the size of the slab and the shed. While your shed will need to fit within the size of the concrete slab, there’s nothing to stop you from having extra slab room. An extra 2x2 metres of slab next to your shed could prove to be a valuable spot for kids to play 2-person handball (aka four square) or for you to set up a small outdoor lounge, woodwork station, or even a simple BBQ area. Finalise actual shed design plans, finalise slab placement and size, and mark out project area with either spray or flag markers. Using a mini excavator, dig down around 180-200mm of soil – ensuring you have enough room for the compacted basecourse and the concrete. NOTE: This hole will be filled with a sturdy layer of basecourse, sand, sheet of polythene, reinforcing mesh, and finally concrete. 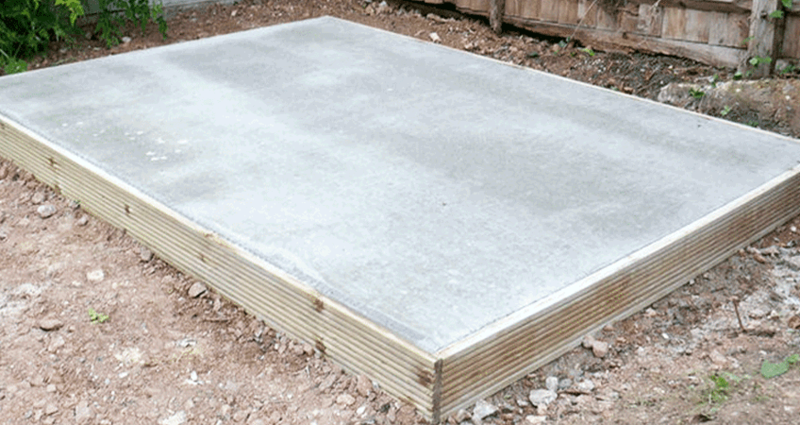 It is critical that the surface of the end-product concrete slab is elevated from the ground, as this will help avoid pooling or muddy water from the yard entering your shed during a storm. Place wooden form work around the site, ensure they are tightly connected. 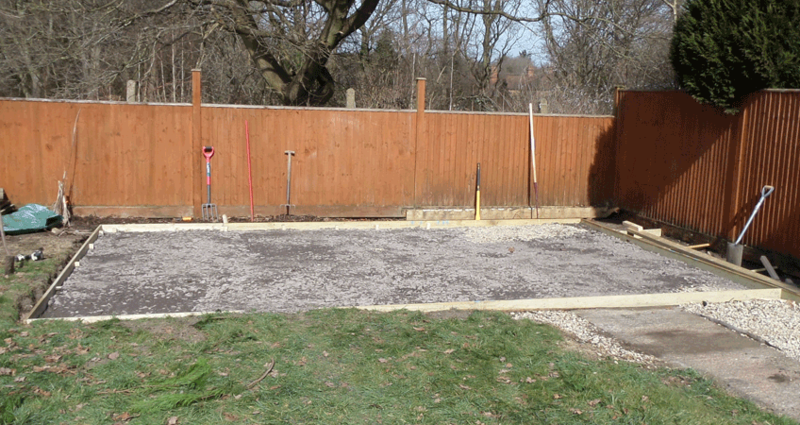 Ensure that the forms protrude above ground level, so when you fill it, the resulting concrete slab’s surface will be raised above ground level (this will help prevent any yard flooding or pooling from damaging your shed). Pour a layer of basecourse or gravel and compact it using a plate compactor. After compacting the gravel/basecourse, proceed to lay a layer of sand. Cover the layer of sand with a sheet of polythene (be sure to get the right size cut). Ensure you get reinforcing mesh that fits, and also ensure that the mesh sits slightly raised above the sand with either concrete blocks or bricks (you won’t need too many). Pour your concrete and level it out, then proceed to cure it. The curing process typically takes up to 2 weeks, it’s wise not to rush this step as the better the cure, the better the concrete’s strength. Once cured, remove the wooden forms. The first is to buy a pre-built shed (from your local hardware warehouse) and simply set it up and place it on the concrete slab. Just be 100 certain that the shed dimensions fit within the dimensions of your slab (covered in step 3). NOTE: You don’t have to settle for a prefab shed build, you can custom build your shed from the bottom up, using light structural lumber or even bricks, depending on what you like and are comfortable with. Depending on your location and Local Council, you will likely need to gain approval to erect a custom-build. Use a hammer drill with a carbide-tipped masonry drill bit, where the drill bit is the same diameter as fixture anchors being used. You’ll also need an overhead drill press, 8 x ‘L’ shaped brackets, and 8 x medium duty, expansion anchors (fixture anchors). Be sure the shed frame is properly bolted down to the concrete slab. 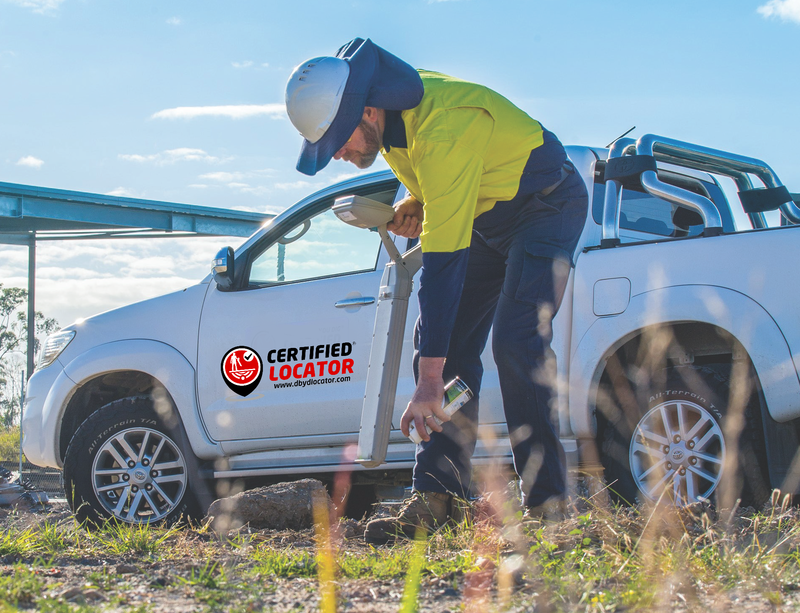 If you’ve never fixed something to a concrete base before - be sure to do more research on the process beforehand, or hire a tradie to complete the task for you. Furnish your shed – mount a cork wall, install shelves and a desk, put up a picture of your favourite excavator, install a dart board, install a lock, or simply fill the damn thing with storage, it’s all up to you! What machines do I need to build a shed? Check out our combo suppliers to get a combo pack including a bobcat and a truck. What materials and equipment will I need to build a shed? 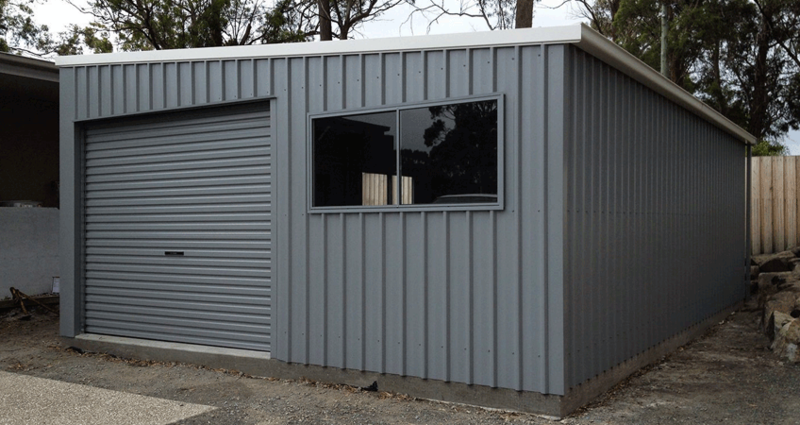 The cost of a shed can vary greatly depending on materials used and scale of the project. 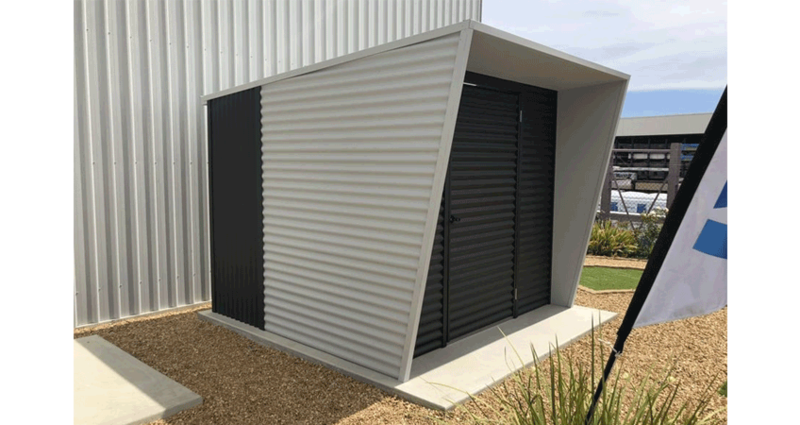 As a ballpark estimate for our DIY shed, you could spend anywhere from $700 to upwards of $1400, depending on the project scope, materials, machinery and equipment hire used. If utilities are being connected, requiring a trench, then the price will be driven up further too. 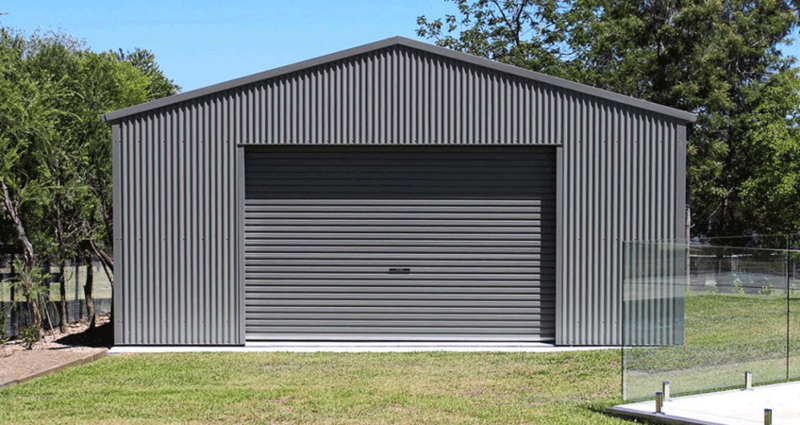 Where to buy materials for a storage shed? 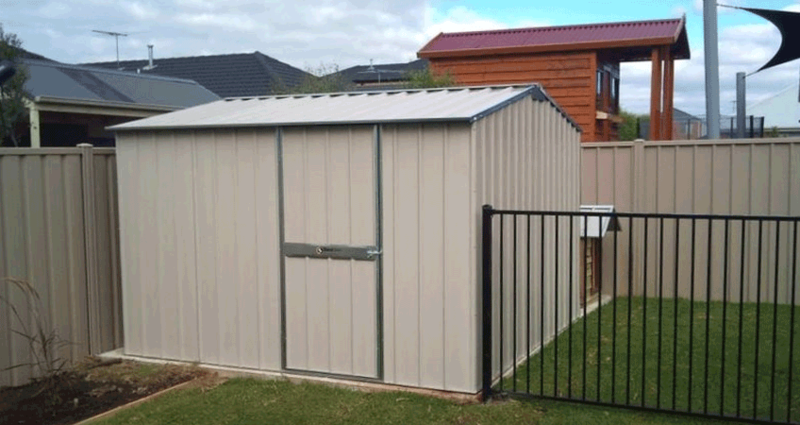 In Australia, you can typically find a decent sized pre-made shed at your local hardware warehouse starting from $400. Everything else you need can generally be found at the same hardware warehouse. You will likely need a ute or pick-up truck to transport a variety of goods and materials, although some larger hardware stores now offer delivery. Be sure to do research and decide on dimensions before starting work. Considering all this, our directory is chock-a-block full of suppliers, machines, and equipment to help you with your newest residential or commercial challenge. From land clearing and excavation to concrete pouring, iSeekplant has you covered with all the services, machinery, and equipment you need for your next DIY project! Interested in more Aussie DIY projects? - Check out our other guides!